Occasionally people seem surprised at my enthusiasm, my geeky love, for the world of Marvel on the big and small screen. I read Proust, I love enigmatic French arthouse movies where nothing happens, very stylishly, for hours on end. I have argued elsewhere that one can love Proust AND Stephen King, and I see no reason why one cannot also love Alain Resnais or Michael Hanecke’s Caché, AND Thor, or Captain America. Who would want to be limited to just one brow? In any case, it’s an open secret that I’m a Buffy obsessive and a Whovian, so no one should really have to reach for the smelling salts when I get giddy about heading off to Cineworld to see Avengers Age of Ultron in 3D. It seems to me that there’s a direct line from a lot of what I read during my bookworm childhood to these more recent passions. As soon as I could make the squiggles on the page into words in my head, I read everything I could reach. I read children’s classics (Nesbit, Lewis, Tolkien, Alcott, Burnett), grown-up classics (Dickens, Malory, Bronte, Shakespeare), newer children’s writers (Garner, Sutcliffe, Garfield, Treece). And in many of these I found ways into other worlds. Tolkien and Garner both drew on Norse and Celtic mythology, one to create his own world, the other to imbue ours with magic. Lewis led his child protagonists through mundane portals into his alternative world where they became heroes and battled with evil. Malory, Sutcliffe and Garner gave me different takes on the ultimate British hero, the once and future King, a medieval knight or a celtic warlord, or a sleeper under Alderley Edge waiting for our hour of need to awake. 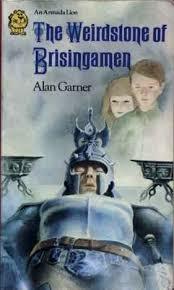 And in Roger Lancelyn Green’s vivid retellings I got to know the tales of Greek heroes. The notion that our everyday world can slip its mask and reveal another reality, darker or brighter, bigger and badder, invading and intervening as the gods of old always have done, is often terrifying, always compelling. That’s why my greatest fondness is for those narratives which start with the world we already know. Think of how a certain episode of Doctor Who has rendered statuary decidedly uncanny – the familiar become strange and scary. Think of how Buffy subverted the teen high school movie, so that being grounded really was potentially the end of the world. Think of how Stephen King’s It showed the adult world oblivious to the terrors that the children had to face unprotected. Marvel movies are bigger and noisier than the above. They’re sillier, perhaps. But they’re tapping into those old, deep stories, and reinventing, representing them in bright and shiny ways, with (particularly where Joss Whedon has a hand in the script) wit and humour. They’re not scary, but they’re exciting, exhilarating. 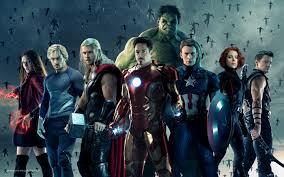 In the Avengers ensemble movies, in one glorious superhero binge, we have elements drawn from an eclectic range of sources – from myth and legend, from Robert Louis Stevenson and Mary Shelley, even an American King Arthur, woken from sleep to defend the world in its hour of need. 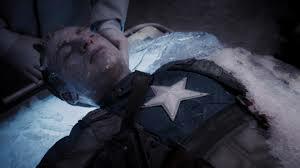 I’m not arguing for the Marvel movies as the most profound examinations of moral questions, or of the human psyche. But neither are they devoid of interest on those planes. They are never quite as simplistic as one might expect, with all the exploding and the fighting. The very daftness of the idea of these very disparate characters coming together is part of its charm. The humour, and sometimes poignancy too, often comes from their disparity, whether it is the cynicism of Iron Man playing against the moral uprightness of Captain America, or the straightforward warrior sensibility of Thor against the conflicted, tortured Banner/Hulk. Thor: The gates of Hel are filled with the screams of his victims! Thor: But not the screams of the dead, of course. No, no… wounded screams… mainly whimpering, a great deal of complaining and tales of sprained deltoids and… gout. Humans are odd. They think order and chaos are somehow opposites and try to control what won’t be. But there is grace in their failings. … A thing isn’t beautiful because it lasts. It is a privilege to be among them. Echoes of the Doctor there, I think. Amongst all of the forces that see the weakness of human beings and want to destroy, some stand with us. The Doctor said that in 900 years of space and time he’d never met anyone who wasn’t important. He tells us again and again that we are in our very ordinariness extraordinary, in our bloody-minded going where angels fear to tread, our curiosity and our moments of courage. These stories, these new/old stories may not change the world. But stories are vital. Stories are the way we’ve always tried to make sense of the inexplicable and the unbearable, and to infuse the everyday with magical possibilities. Marvel’s gloriously epic and gloriously daft stories give us moments of startling beauty and poignancy (we are Groot), massive explosions and battles, deadpan humour and heroes we can root for. Pretty damn marvellous.